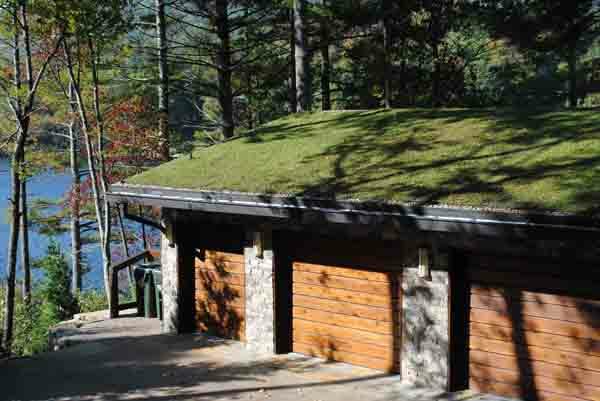 Lake Toxaway Retreat | residential | Living Roofs Inc.
A green roof with a lake view. 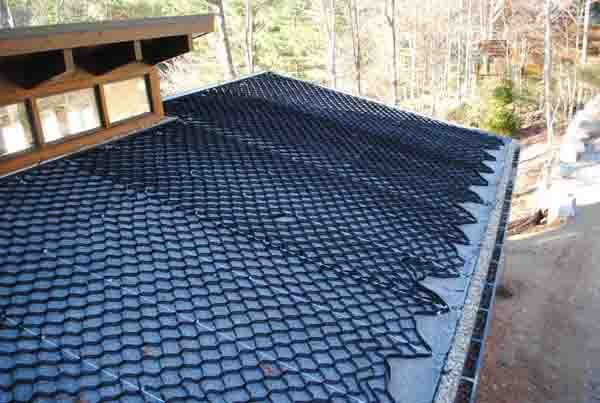 The roof of this residential project has a 3:12 slope, requiring special measures to eliminate the potential for sliding, water loss, and soil erosion. 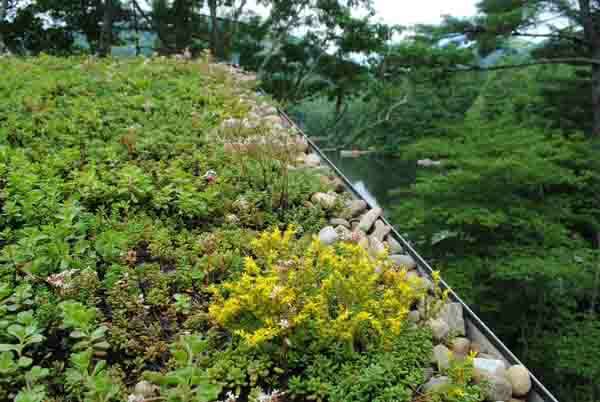 A grid system was bolted to fastened-aluminum edging and filled with soil. 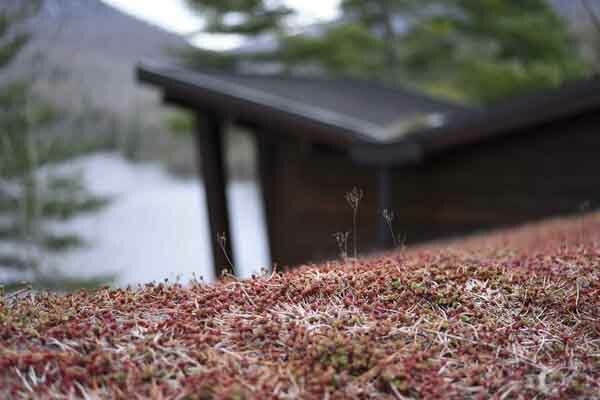 The extensive, pre-vegetated roof was selected to both instantly green a highly visible roof and reduce overall weight.